The second highest peak in the UK. The highest peak in Wales and England. 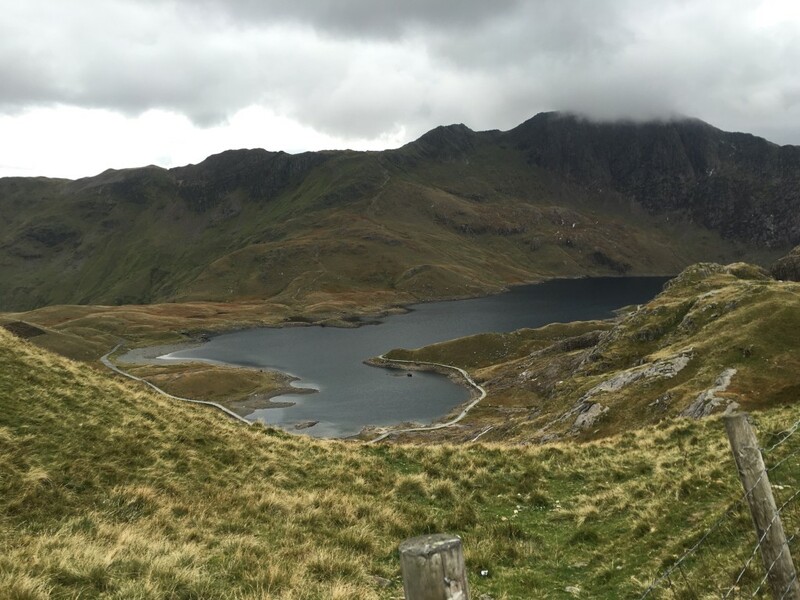 Snowdon stands at a proud 3,560 ft (1,085 meters) above sea level. 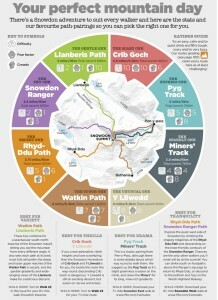 On average 360,000 people summit Snowdon every year! On the 17th of October we wanted to add 2 more people onto the total. There are numerous ways to attack the summit depending on your conditions and what suits you most. Visit Snowdon is full of information regarding the mountain and providing information regarding routes and weather updates. 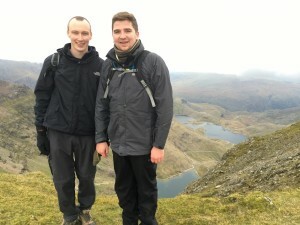 Our route started at Pen-Y Pass and up Pyg Track. This is the express route as we started the climb at 12:30pm and we didn’t want to get stranded when the sun went down. The climb started fairly easy which was a surprise for us both with some slight inclines, then a nice flat plain with a few more inclines. It was only the latter part of the climb where it started to become difficult with us doing more climbing and the odd bit of scrambling. We made the summit in a grand total of 2hrs 6 mins which was under our estimated time. Compared to Ben Nevis this seemed like a walk in the park. The summit of Snowdon is something else. There is a fairly large café providing food and hot drinks, a shop selling clothes / gifts and plenty of toilets all in a nice warm building with brilliant viewing points. Perfect if the wind has picked up which it does at the summit. 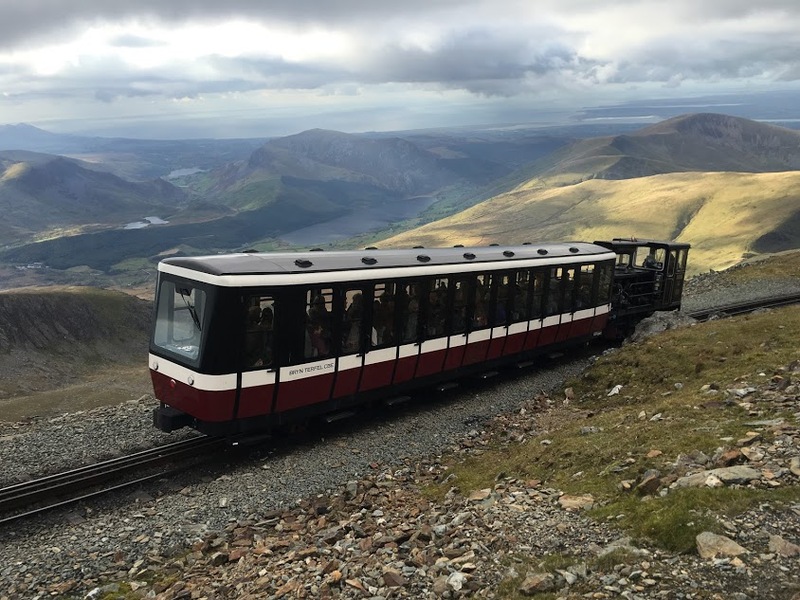 One other good thing about Snowdon is it has a railway track going right from the bottom all the way to the top. This was built and used to supply the various mines on Snowdon with materials and also remove the produce back down to lower ground to be shipped. Now it acts as purely a tourist attraction. This came in handy when the females of the group would rather sit on the train and take the easy route to the top and meet us there. This did give us a challenge of trying to beat their train to the top. The descent was a lot more chilled out. We took the longer pedestrianised route, Llanberis Path back down to lower ground. The return route was actually 1.5 mile longer than our assent taking roughly 2hrs 30 mins. So my Charge HR tracked my journey up and down Snowdon. I took roughly 18,000 steps covering 8~ miles and climbed around 320 floors all in about 6 hours (Which included an hour+ stop at the summit).